Holding an event at the Majestic Theatre provides your audience with the opportunity to experience the incredible atmosphere of attending a theatre that is steeped in performance and cinematic history. 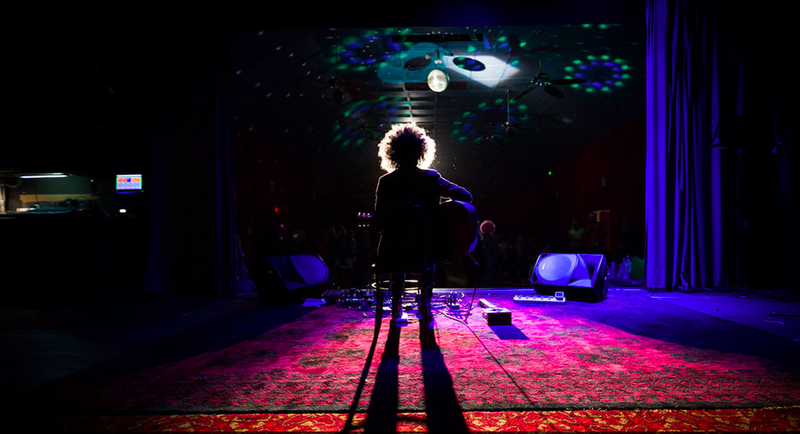 The Majestic Theatre at Pomona which seats 200 people or 100 seated, could be the perfect location for your next performance in step with such greats as Archie Roach, Kate Noonan, Kate Miller Heidke, Barry Morgan, Andrea Kirwin, Mick Conway, Tubular Bells, the Gold Coast Chamber Orchestra, and many talented emerging and established local and regional artists. 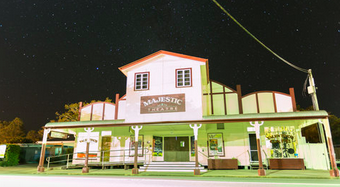 The theatre is located in the Noosa Hinterland, (25 minutes from Noosa) a renowned holiday destination yet still close to Brisbane. Whether you are celebrating the release of your next album, touring your performance, or simply seeking an incredibly unique venue for your wedding, graduation or dance performance, please consider the Majestic Theatre in Pomona. Please note our Valentino's restaurant is currently closed for renovations. We are open to discuss your next event at the Majestic Theatre in Pomona.